Here’s what’s happening in the world of television for Thursday, January 24. All times are Eastern. 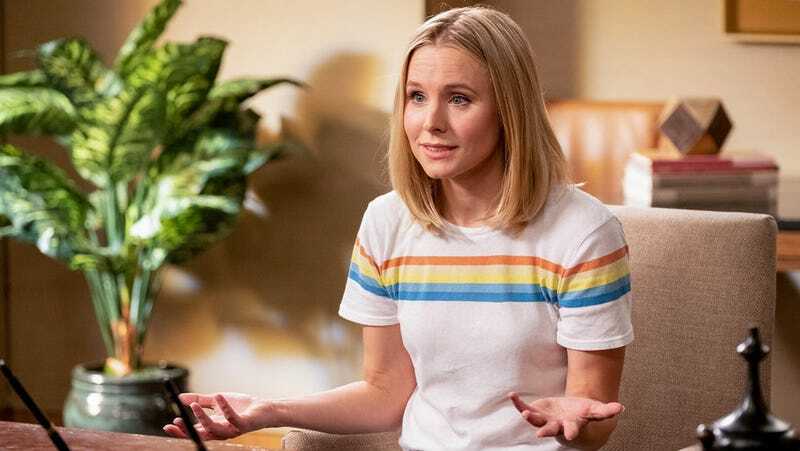 The Good Place (NBC, 9:30 p.m.): We’re already longing for the return of one of TV’s best shows, and its third season hasn’t even ended yet. That’s how much we love The Good Place. After a finale lead-in episode that somehow lived up to the title “Chidi Sees The Time-Knife” and an unexpected pivot back to the show’s origins (and to Mindy St. Clair’s backyard), the finale will see the Soul Squad/Team Cockroach/most of the Brainy Bunch attempt to save humanity from eternal damnation by testing a hypothesis. That’s happening tonight. And that’s about all we know, because this is The Good Place. The only sure thing is the total absence of sure things—or put another way, as some old Greek dude said one time, the only constant in life is change. In lieu of tantalizing hints, we’ll content ourselves with this collection of Janet’s greatest hits.